Our 1st Avenue location is on the west side of the road between Grant and Glenn. This location gets a ton of great donations from the UofA so we always have wildcat gear and a great selection of clothing. Our wares section is always stocked full with unique and amazing glassware and ceramics. This location also houses a FREE Job Connection Center to help serve anyone in the community with job search needs. See below for details. Next time you are in the UofA area, swing by our 1st Ave thrift store for amazing finds or to donate a bag of old clothes. This Goodwill Thrift Store location hosts a FREE job resource center that is open to the public 5 days a week. 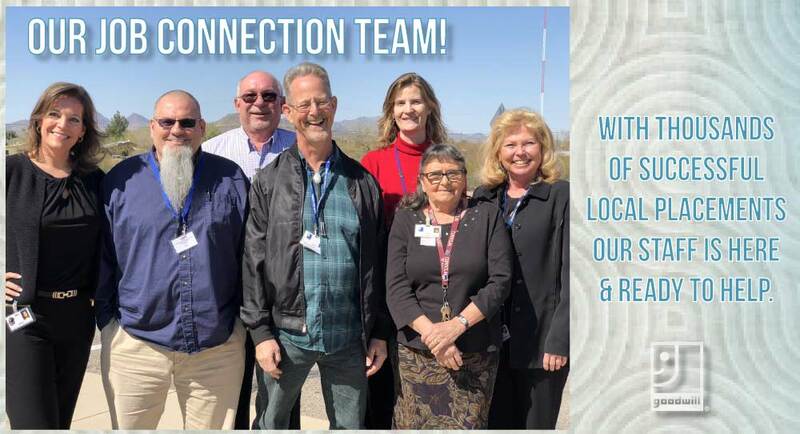 Staffed by one of our experience Career Development Specialist, the center is a place to go for assistance with a job search, resume, interview skills, workshops and more. We also provide free access to computers, emails, phones and assistance with other resources including clothing, shelter and food. 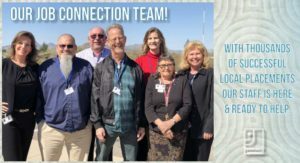 For more info on our Job Connection Centers CLICK HERE.